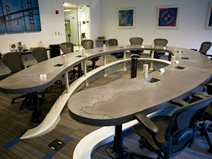 The Decorative Concrete Council, a specialty council of the American Society of Concrete Contractors, St. Louis, Mo., has announced the winners of its ninth annual awards competition. The winners were recognized at a ceremony at the World of Concrete, Las Vegas, on Tuesday, January 17th, 2017. Below is a collection of the first place projects. Sundek of San Antonio, San Antonio, TX won the WOW! Award, best overall project, for Mission Concepcion Park, also in San Antonio. 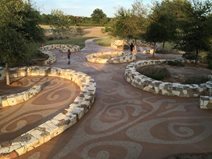 A 7,000 SF area of the park received a combination of sandblasting and stain to create the intricate, swirled design that mimics the swirls and eddies of the San Antonio River. The surface needed to be durable enough to hold up under significant bike and foot traffic. 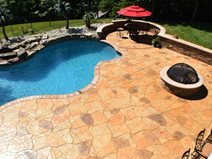 The acid stain was applied first, followed by months of using a needle scaler to remove the surface of the concrete. 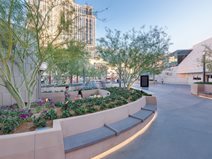 The beautiful transformation to stained and exposed concrete pavement presents a wonderful contrast between liquid nature and solid infrastructure. Cast-In-Place Stamped, Over 5000 SF, 1st Place, Alchemy Concrete, Nelsonville, WI for Berard Residence Driveway. Cast-In-Place Stamped, Under 5000 SF, 1st Place, Greystone Masonry, Stafford, VA for the Owens Residence. 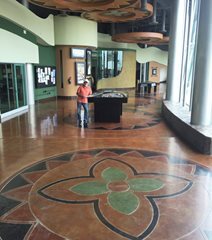 Polished, Over 5,000 SF, 1st Place, Dancer Concrete Design, Fort Wayne, IN for Auburn Cord Duesenberg Automobile Museum. 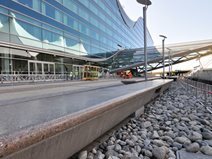 Polished, Under 5000 SF, 1st Place, Colorado Hardscapes, Denver, CO for Denver Int’l Airport South Terminal Expansion. 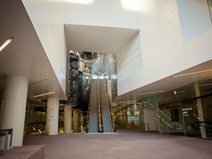 Overlays Under ¼”, Over 5000 SF, 1st Place, Surface Archetypes, Flinders View, Queensland, AU for 480 Queen. 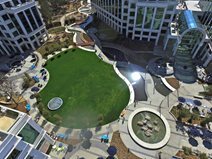 Overlays Under ¼”, Under 5000 SF, 1st Place, Sundek of Washington, Chantilly, VA for Westside Parcel C.
Overlays ¼” - 2”, Under 5,000 SF, 1st Place, Honestone, Tuggerah, North South Wales, Australia for Pyrmont Fire Station. 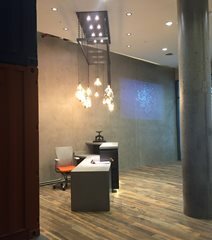 Overlays ¼” - 2”, Under 5,000 SF, 1st Place, Honestone Pty. 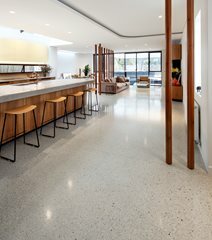 Ltd., Tuggerah, NSW, AU for Dover Heights Residence. Cast-in-Place Special Finishes, Over 5000 SF, 1st Place, Shaw & Sons, Costa Mesa, CA for The Water Garden. 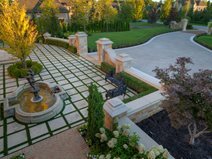 Cast-in-Place Special Finishes, Under 5000 SF, 1st Place, Bomanite Toronto, Vaughn, Ontario, Canada for the Patterson Residence. 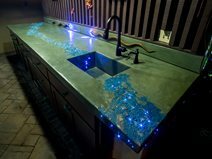 Countertops, 1st Place, Dylan Myers Design, Columbia, MD for Heavy Lifting Table. 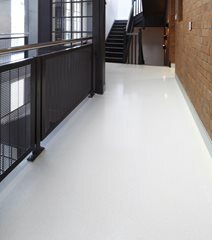 Vertical Application, over 5,000 SF, 1st place, T.B. Penick & Sons, San Diego, CA for Fashion Show Mall. Vertical Application, Under 5000 SF, 1st Place, Hyde Concrete, Pasadena, MD for 625 H St. 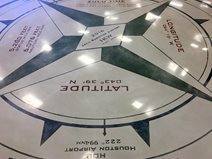 Concrete Artistry, Under 5000 SF, 1st Place, Fisher Companies, Midland, MI for Midland Community Aviation Discovery Area - Compass Rose. 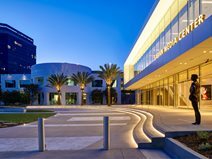 Multiple Applications, Over 5000 SF, 1st Place, Trademark Concrete Systems, Anaheim, CA for TV Academy. 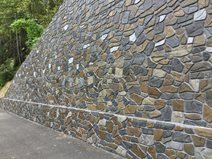 Multiple Applications, Under 5000 SF, 1st Place, Tom Ralston Concrete, Santa Cruz, CA for DeWhitt Residence. 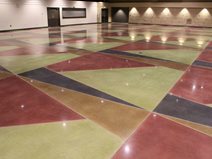 Stained, Over 5,000 SF, 1st Place, Trademark Concrete Systems, Anaheim, CA for Hwy. 299 Curve Improvement. Stained, Under 5,000 SF, 1st Place, Concrete by Hallack, Turlock, CA for Musas Museum of Art of Sonora. 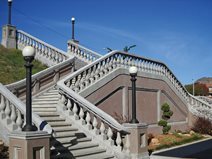 Architectural Concrete/Under 5000 SF, 1st Place, Concrete Strategies, St. Louis, MO for Railroad Depot Staircase. T.B. Penick & Sons, Inc., San Diego, CA, won 1st place for Project Video for the reconstruction of 1805 DAR. 2nd place went to Dancer Concrete Design for The Golden. In a new category, Decorative Environmental, T.B. Penick & Sons, San Diego, CA won 1st place for Battery Park.